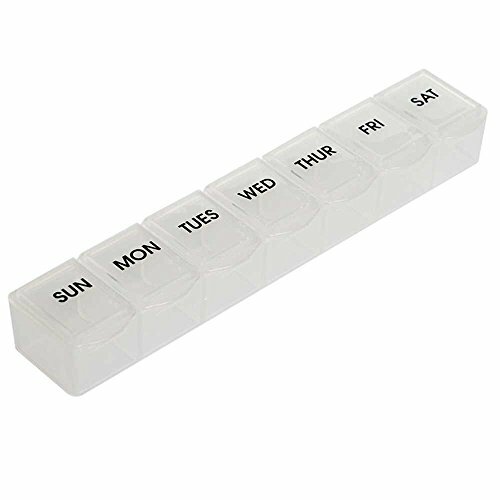 This NRS 7 Day Pill/Tablet Organiser N68227 is great to help manage the pills you have to take daily with a separate compartment for each day. Each compartment has a flip lid to open and once shut pills are stored securely. Can be filled by a carer or the user at the start of the week. Great to help remind you to take your medication. Suitable for travel and can be easily put in a bag when you are out of the house. Measurements: 17.3 x 2.6 x 2.3 cm (7 x 1 x 0.75"). If you have any questions about this product by NRS Healthcare, contact us by completing and submitting the form below. If you are looking for a specif part number, please include it with your message.